Microbeads—tiny, plastic beads added to face scrubs, soap, toothpaste, and the like—cause environmental damage at the macro scale. Their function is to provide a bit of grit, but they end up in lakes, rivers, and other aquatic habitats. Once there, microbeads are mistaken for food and gobbled up by zooplankton, thus becoming incorporated into the aquatic food chain. Small fish, and other organisms that swallow the contaminated zooplankton, are eaten by bigger fish and eventually, microbeads make their way to the top of the food chain, reaching other wildlife and even humans. However, there is more to this story. In aquatic environments, microbeads soak up environmental pollutants, such as polychlorinated biphenyls (PCBs) and polycyclic aromatic hydrocarbons (PAHs). Zooplankton that ingest microbeads can accumulate PCBs and PAHs (through adsorption), which biomagnify (become more concentrated) up the food chain. These pollutants are endocrine disruptors and can damage immune, reproductive, nervous, and endocrine systems in both wildlife and humans. There is good news, though. Thanks to the Microbead-Free Waters Act approved a week ago by the House of Representatives, the dispersal of microbeads in the environment will likely become, within the next two years, a thing of the past. The bill, which will now go to the Senate for approval, would phase out microbeads from products in the US starting July 1, 2017. 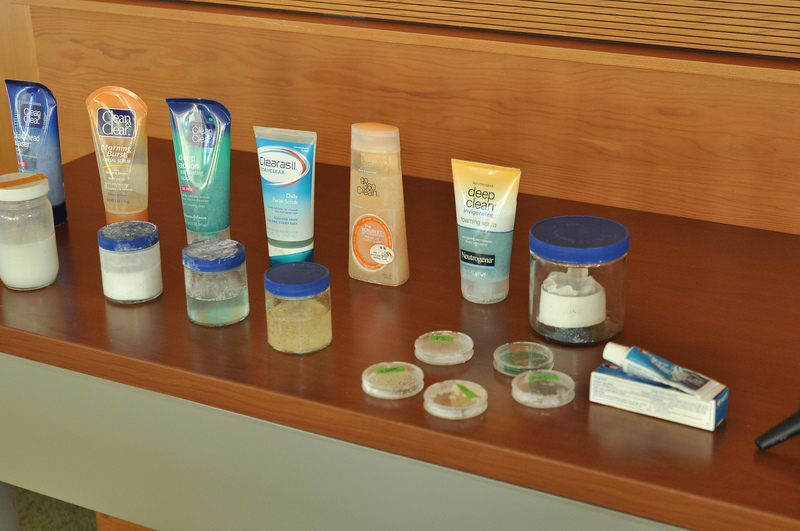 Microbeads in personal care products. Credit: Schooner Adventuress, CC BY-NC-ND 2.0. But how do microbeads end up in waterways? When exfoliating compounds in cosmetics and hygiene products are rinsed off, they go down the drain—and whatever goes down the drain, ends up in waterways. 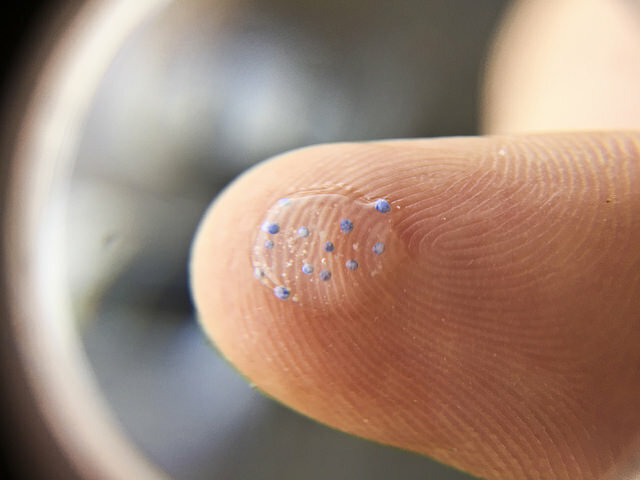 Because of the widespread use of products containing microbeads1, large amounts of these plastic fragments are routinely discarded into wastewater. According to a 2014 report cited by The New York Times, nearly 19 tons of microbeads go down the drain in New York State every year. Microbeads. Credit: MPCA Photos, CC BY-NC 2.0. The Microbead-Free Waters Act is now providing the solution. The federal legislation will follow action taken by several states. 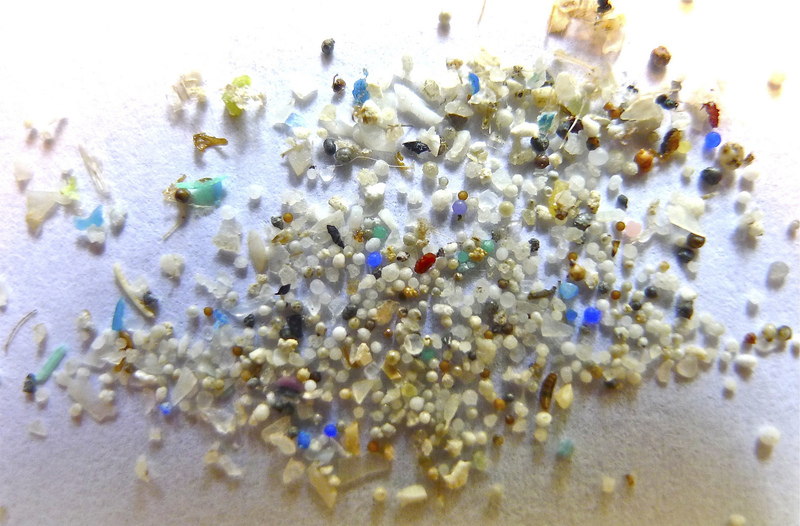 Last month, California finalized a bill that phases out microbeads from 2020. However, it was Illinois to first ban the production, manufacture, or sale of personal care products containing microbeads, especially because of concerns raised in 2013 about the heavy microbead pollution in the Great Lakes, the largest freshwater ecosystem on earth. A recent study shows that in certain areas of the Great Lakes, densities of floating plastics are as high as those reported for areas of litter accumulation within oceanic gyres. 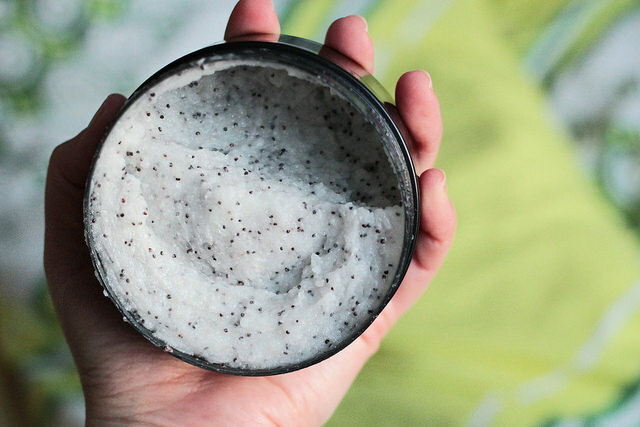 Exfoliant containing poppy seeds. Credit: Heidi Uusitorppa, CC BY-NC-ND 2.0. In response to the impending ban and growing concern from the general public, several companies, including large multinationals, have begun replacing microbeads with natural, biodegradable alternatives such as rice, apricot seeds, walnut shells, powdered pecan shells, and bamboo. Will these alternatives be not only natural and biodegradable, but also sustainably sourced? As more and more consumers increase their environmental awareness and push for change, hygiene and beauty giants may finally respond to public pressure and follow the footsteps of the food industry by acknowledging the damage done in the past, while keeping a keen eye on life cycle assessment programs. Ultimately, what should the responsibility of industry be in being aware of the state of the current science before developing products that have high likelihood of such ecotoxicologic pollution? Until we move from proof-of-harm policies to proof-of-safety policies, we will run into similar problems over and over again. It’s a long road ahead, but it can be done. Does anyone know what the law or regulation of plastic microbeads is in the UK please? I am a teacher in the UK. I worked in aquatic ecotoxicology a decade ago. I am setting up an environmental study student group at school to focus on topics that are not covered in specifications and this is a key topic I would like to cover. This article (Minister says UK government ‘fully backs’ microbeads ban) came up just the other day on The Guardian and it might help you.